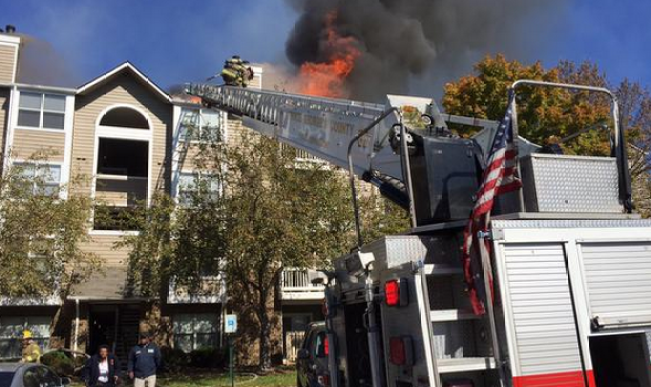 Prince George's County fire crews are on the scene of a 2-alarm fire in Largo, Maryland. Firefighters were called to the 100 block of Green Meadow Lane just after noon Monday. Pictures from the scene show flames shooting from the roof of the apartment building. Mark Brady, a spokesman for the Prince George's County Fire Department, says the bulk of the fire is out. There's no word on any injuries at this time.